Our window cleaning technicians are the heart and soul of our business!but we have a unique behind the scenes role open in our office. Are you a experienced at keeping track of customers, potential customers, managers and field employees? Can you organize, prioritize and Problem Solve? Have you used a CRM to ensure all customer information is captured and followed up on? Do you enjoy puzzles and work until they are solved? Do you have tenacious follow up skills and always get back to your customers? Can you do basic math and calculate dollars per hour, percent discounts and travel time? Do you believe and have experience in providing internal and external service that turns the team and customers into raving fans? Do you have mad phone & written communication skills? Can you craft a professional email with correct spelling and grammar? Do you have mid-level MS Excel, Word and Outlook experience? Do you have a basic understanding of the towns and cities around mid-Michigan? And just so we are totally cliché-are you a self-directed self-starter who is always thinking about the next task, the next day, the next month, the next quarter and the next goal to knock down? Do you have a 2-year degree or equivalent experience in a business related field? We work normal business hours but can be somewhat flexible and accommodating of an individual’s needs, even in our peak season. We are based in Lansing. Pay for this position will likely be between $16 and $18 per hour, depending on experience, education and work history. We are a smaller, family owned company so each person’s contributions matter. We depend on each person’s skills, commitment, and effort. We need hard working, enthusiastic, dependable, clean cut, dedicated, honest individuals who want to use their skills to help themselves continually grow as individuals and the company as well. Please look at our website. See what kind of company we are. Think about why you would like to be considered for this position. If you are randomly applying to 100 other jobs, please don’t apply here, we would not be a good fit. Write a cover letter with your resume. Please ask questions in your letter. 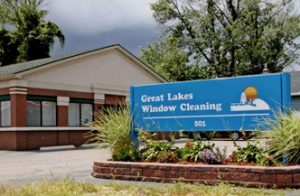 In your cover letter please explain why you believe you would be a good fit for working at Great Lakes Window Cleaning. Please send your resume and cover letter, and anything else you would like us to know about you to:Ron Zeiter at: OfficeJob@glwc.biz.